Data recovery tool for Mac and other storage devices. Is there a better alternative to uFlysoft Data Recovery? Is uFlysoft Data Recovery really the best app in File Management category? 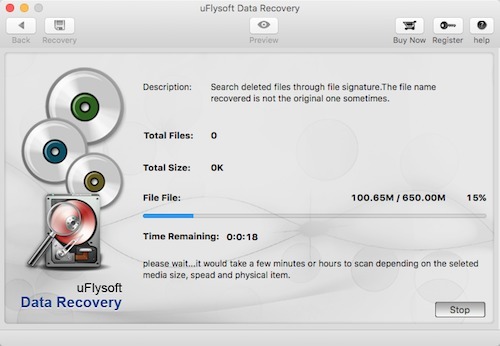 Will uFlysoft Data Recovery work good on macOS 10.13.4? 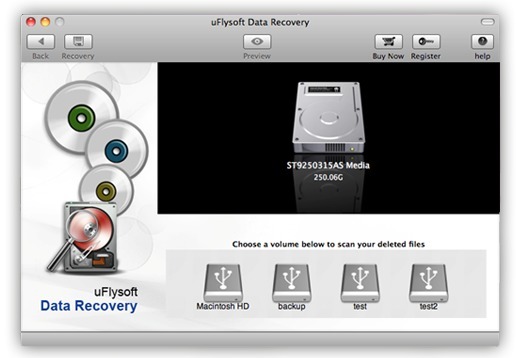 uFlysoft Data Recovery will help you recover files that are lost, deleted, or on a reformatted Mac or storage device. Even if you're currently having trouble accessing your Mac drive or storage device, there's a good chance the software can recover deleted files from it. Recover deleted files from Mac hard drive or deleted documents from a storage device. Get back erased photos from a camera or erased videos from a camcorder. Find lost music on your iPod (Nano, Mini, Shuffle or Classic). Restore data you are unable to access on a memory card (SD card, Flash card, XD card, etc.). uFlysoft Data Recovery needs a review. Be the first to review this app and get the discussion started! uFlysoft Data Recovery needs a rating. Be the first to rate this app and get the discussion started!